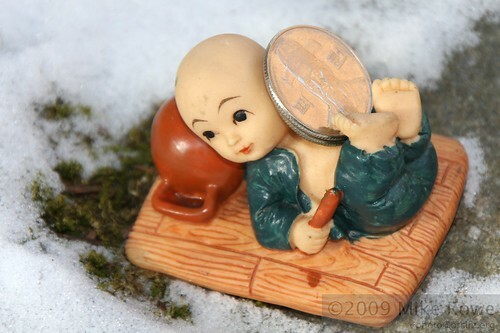 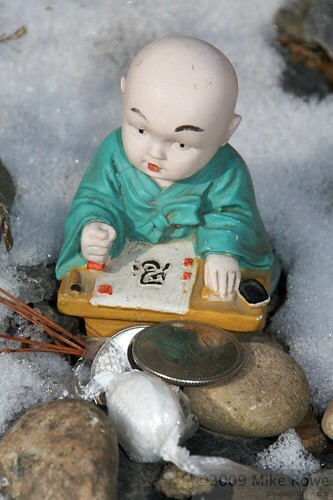 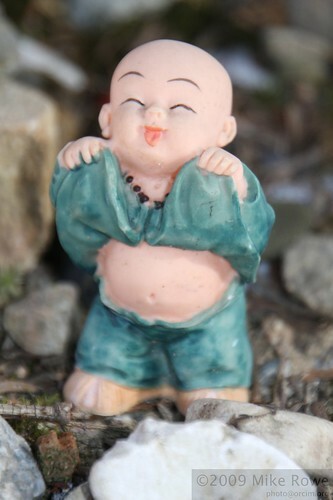 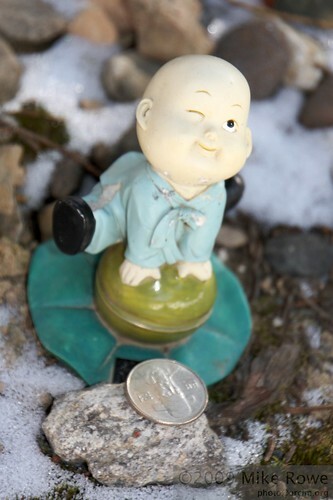 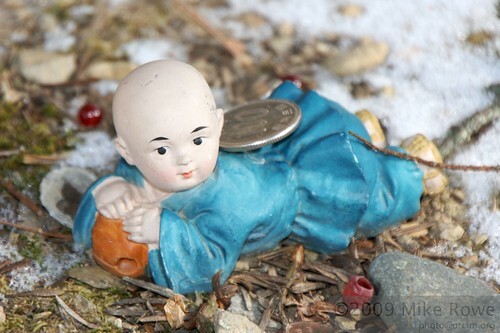 Under a broad spreading tree in JeongamSa Temple, next to the main prayer hut people leave little Mini-Monk characters, along with money and/or candy to wish for good luck. 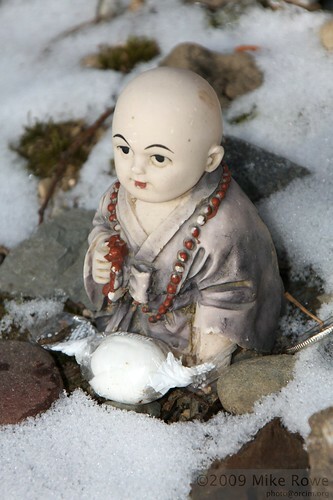 There are probably over 20 of the little guys there now, and they are really cute. 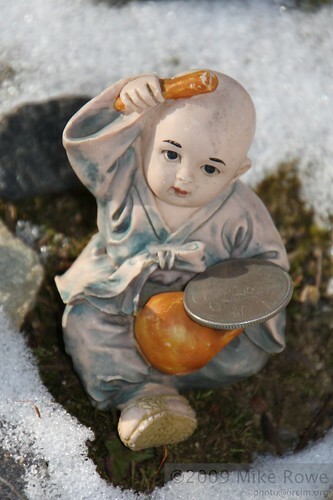 Some of them are highly amusing too, look out for the boy getting bitten by the crab.